Julia Peet, from Lincolnshire, makes regular visits to North Norfolk to enjoy the wide range of museums and interesting day trips it has to offer. Julia and her partner are both retired and prefer visiting cultural and historical sights. Norfolk has a rich and varied history, with some very interesting historical figures having lived there amongst the rolling fields. These characters are quite famous in their local areas, with their stories and deeds still being spoken of today. During a recent trip to explore Cromer town, she discovered the RNLI Henry Blogg Museum whilst walking down on the beach. 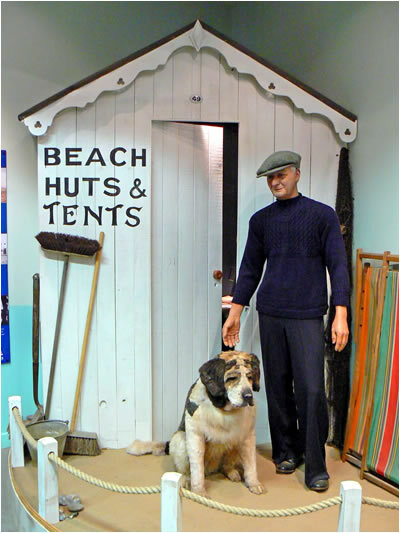 “The museum is dedicated to the life of Henry Blogg, a wonderful mild-mannered fisherman from Cromer who was involved with the RNLI all his working life. He was a Coxswain at Cromer RNLI Station for 37 years and his lifeboat, the HF Bailey, is legendary in the area. The museum actually has the boat as its main feature so you can see exactly what the volunteers were working with. 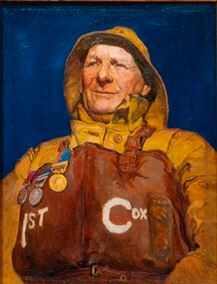 He launched with it 387 times and received numerous medals and awards for his bravery – more than any other lifeboatman in Britain, I believe! “They have plenty of interesting items and artefacts, with some being donated and the rest collected over a number of years. Definitely our favourite exhibit was the HF Bailey, which has been beautifully and painstakingly restored from almost a wreck. Julia was very complimentary about the staff of the Henry Blogg Museum, who really made her feel welcome and maintained the museum well. Julia would happily recommend the Henry Blogg museum to everyone as a fun, educational day that history buffs and families alike will enjoy. “The museum is great for children, as well as adults. Upstairs is an area where you can use the old signalling machines and try out Morse code, plus a selection of sou’westers to dress up in and have your photograph taken. Public parking is available ¼ mile away in Cromer town and admission to the museum is free, but donations are welcomed. 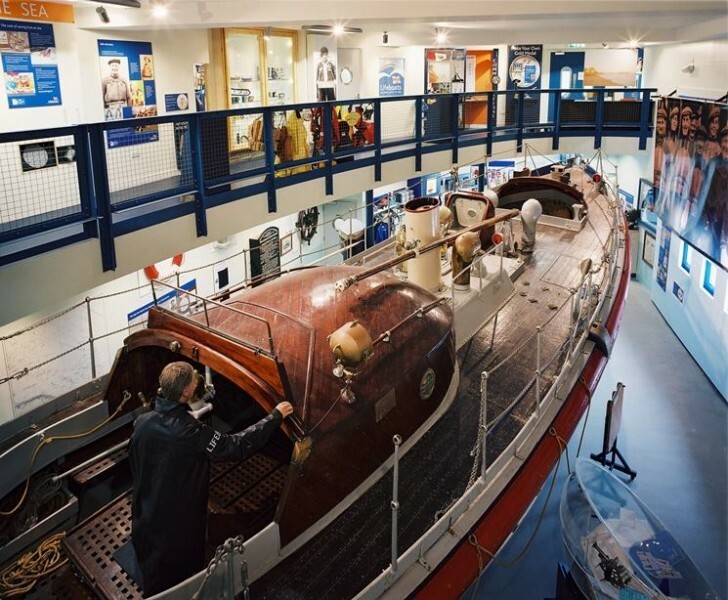 The RNLI Henry Blogg museum is located at the end of the Cromer promenade, a 30 minute drive from Blakeney Cottage Company HQ in Blakeney. Alternatively, you can catch the Coasthopper coach which takes 48 minutes.